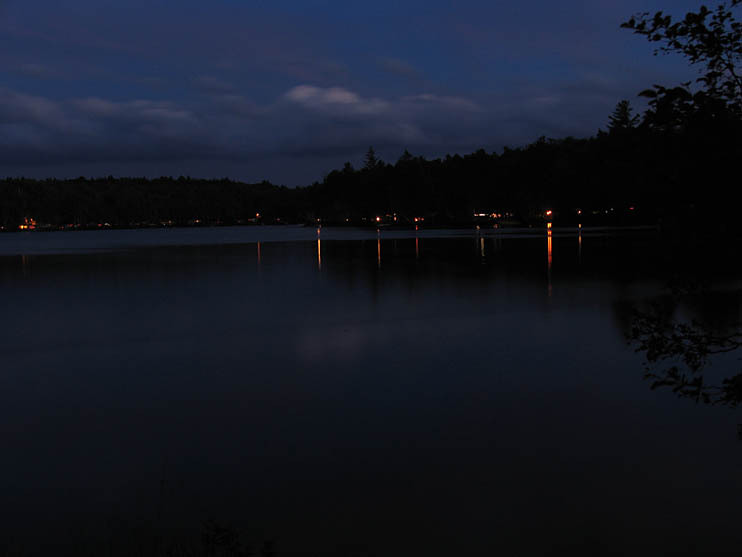 Fish Creek Pond is considered by many, the finest and most attractive of all the Adirondack campgrounds. Fish Creek is located in the northern Adirondacks of upstate New York, about 15 minutes north east of Tupper Lake, 45 minutes west of Lake Placid, 3.5 hours north of Syracuse and Albany. 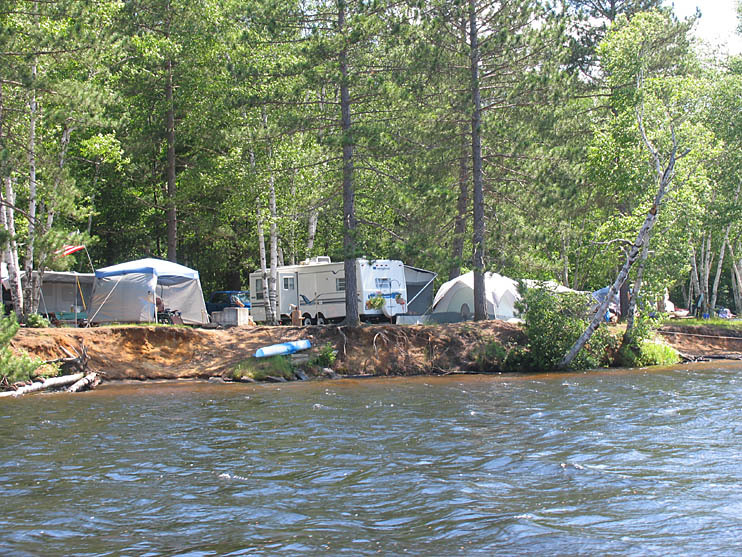 Fish Creek offers 355 sites accommodating all equipment from tents to 40ft RV's with a natural sand shoreline and water access for most campsites. 319 sites are directly on the lakeshore. Most have excellent access to the water. Many of the sites offer a small sandy beach area as well. The sites are well treed with balsam fir, white pines, maple and birch trees dominating on sandy soil. Fish Creek will typically be visited by over 100,000 campers each summer (107,264 in 2000). 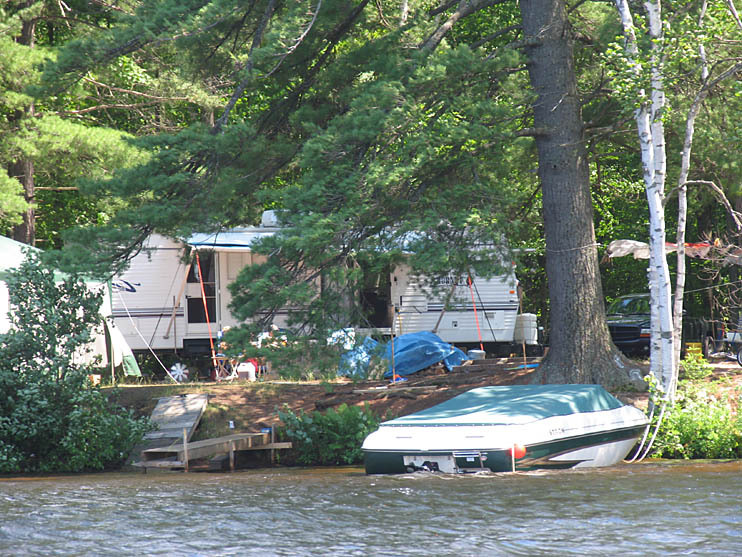 A vast majority of campers will treat Fish Creek as their vacation destination. As with all DEC campgrounds, there are no hookups at Fish Creek, although generators may be used in the mornings and evenings (restricted hours). There are lots of nearby water taps, a fill and dumping station as well. 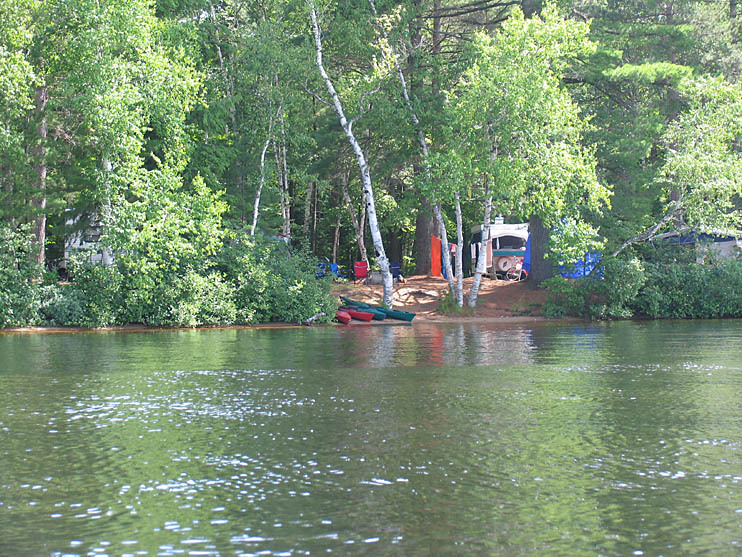 Campers are provided with pristine rivers and ponds accessible to both motorized and non-motorized boats. 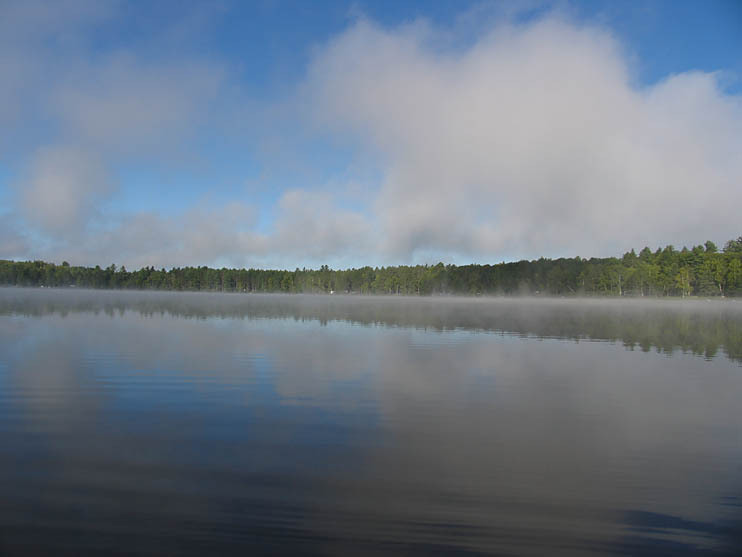 Square Pond and Fish Creek Pond (the two bodies of water around which the campground is situated) are open to motor boat usage. Also, motorboat operator's can enjoy miles of open water on Upper Saranac Lake. A trailered boat launch with a small temporary parking area nearby receive steady usage throughout the camping seaon. 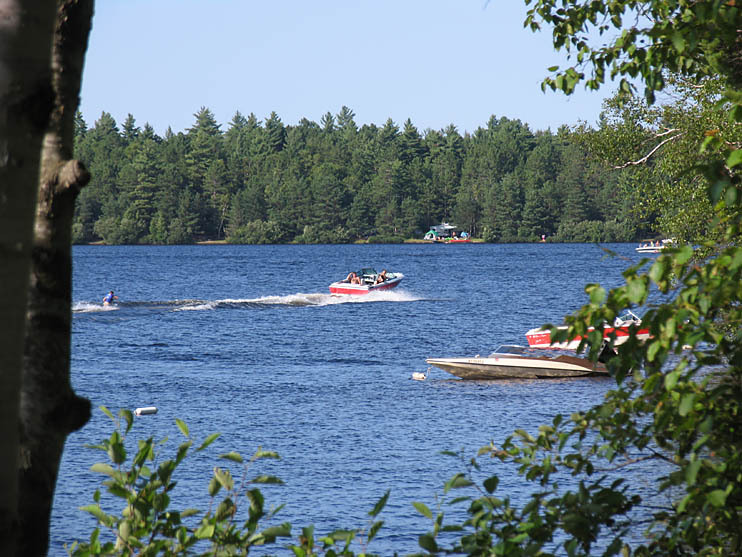 Campers seeking non motorized boating opportunities are usually referred by the campground staff to the ponds in the Rollins Pond Campground area or the nearby St. Regis Canoe Area (approx. 3 miles north of the campground). 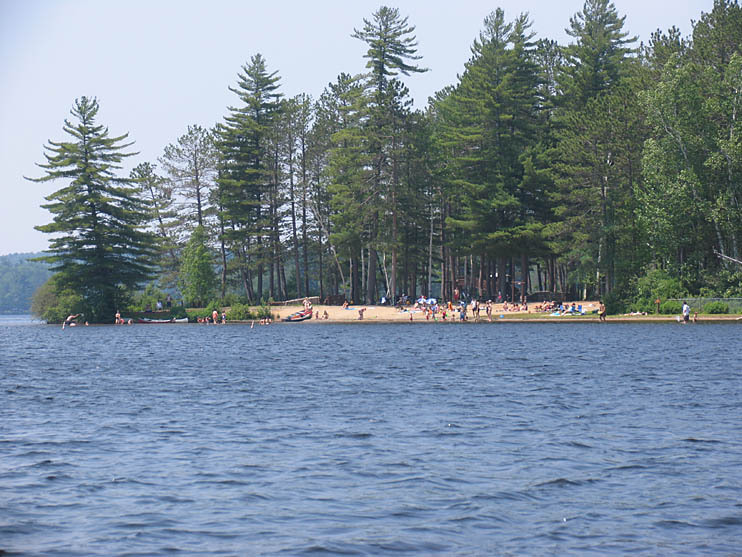 The campground offers a variety of other recreational opportunities including: Interpreter Activity Program, canoeing and boating, fishing, hiking, and bicycling. A single paved road follows the outer rim of the 3 ponds that make up Fish Creek providing access to all sites. The main entry is located at site #4. An additional exit gate is also located at the last site, #305 which is open during summer months until 8pm each night. Campers can bicycle the complete loop around the pond which is approximately 6 miles (9 km). The main shower facilities are located on the connecting road between Fish Creek Pond campground and Rollins Pond campground at site #135. The main shower has 30 showers for the men, 30 for the women. Showers are coin operated ($.25 for 5 minutes). All washrooms provide flush toilets, a sink (cold water only) and mirror. Each building is located on average every 14 sites on the opposite side of the road. Additional park areas are provided for extra vehicles and/or boat trailers. Those looking for a quieter alternative may consider Rollins Pond campground which is accessible from Fish Creek Pond. Rollins offers 287 sites. Most have a buffer between them for privacy. 70% of sites at Rollins are lakeside. Rollins Pond has a 25 horsepower limit for motorboats. Canoeing and Kayaking is the best way to explore the pond and other waterways connected to it. 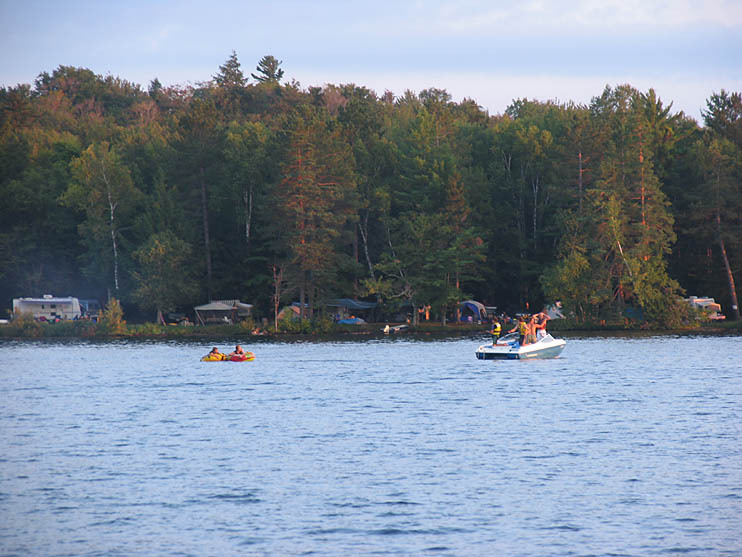 The campground offers a variety of other recreational opportunities including: Interpreter Activity Program, canoeing and boating, fishing, hiking, and bicycling. Fishing opportunities on Fish Creek and surround ponds include black bass, northern pike, pan fish, lake trout, landlocked salmon, brook and rainbow trout. There are several hiking trails which originate from the campground, some at Paul Smiths, as well as limitless hiking opportunities in the nearby high peaks area. Area attractions include the Adirondack Park Visitors Interpretive Center at Paul Smiths, 18 miles to the north, Lake Placid and Olympic venues 25 miles to the southeast, The Wild Center natural history museum in Tupper Lake 11 miles south and the Adirondack Museum in Blue Mountain Lake 50 miles south. From the Adirondack Northway (I-87) northbound: Exit 30; Rte. 9 north to Rte. 73 north to Lake Placid; Rte. 86 north through Saranac Lake to Rte. 186 west; to Rte. 30 south; 9 miles to Fish Creek Pond. From the Adirondack Northway (I-87) southbound: Exit 38; Rte. 374 west; to Rte. 3 west; to Saranac Lake. From Saranac Lake follow directions above. From I-81: Exit 48; Rte. 342 east to Rte. 3 & 30; Rte. 30 north to Fish Creek Pond. For a wealth of additional info on Fish Creek, along with photos, visit the various sections of the sites as listed below. For more information, consult the official DEC site for Fish Creek Pond.